India and the UAE (United Arab Emirates) will discuss ways to expand bilateral trade, investments and strengthen cooperation in defence on Thursday. 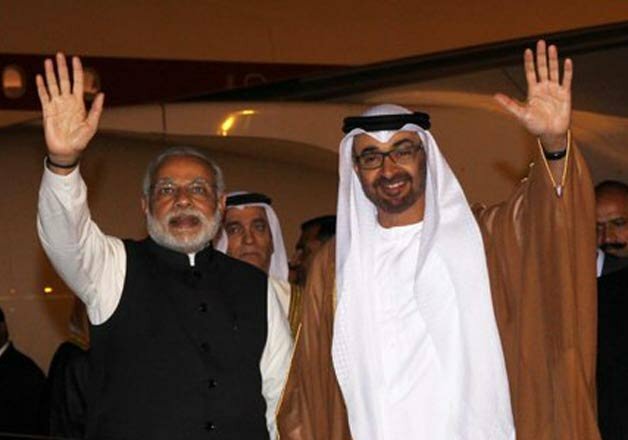 Issue of terrorism and threat of Islamic State terror group are also likely to figure during the meeting between visiting Crown Prince of Abu Dhabi and Deputy Supreme Commander of the UAE Armed Forces General Sheikh Mohamed bin Zayed Al Nahyan and Prime Minister Narendra Modi at the Hyderabad House. The Crown Prince arrived in New Delhi yesterday evening on a three day visit to India. PM Modi received him at the Air Force Station, Palam calling him a 'close friend'.